The photographer says: This was where I made camp on Thursday night. Not an authorized campsite but right next to where I had my cameras set up with a great view to the north. Orion and the milky way are above and the moon setting to the west is causing the orange glow. With winter that seem to go on forever sometimes, Minnesotans know how to embrace the sometimes bone-chilling cold and often times manage to capture its chilly beauty. 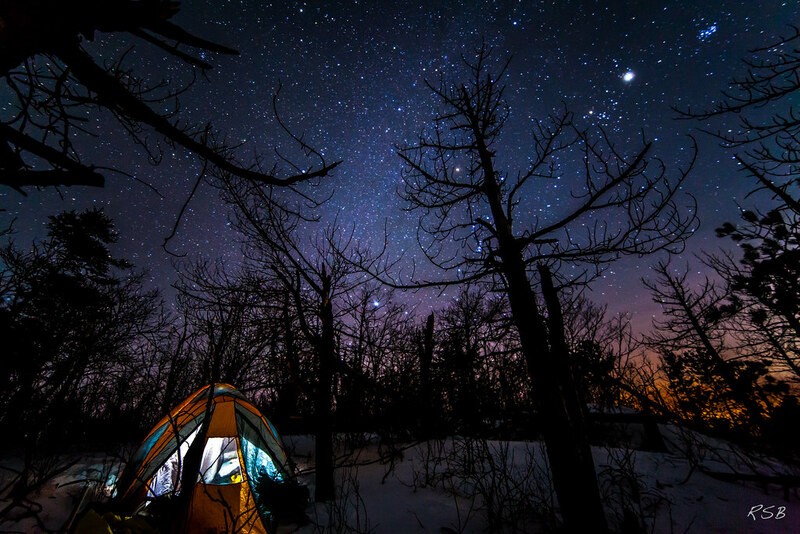 This photo of winter camping on Minnesota's north shore near Silver Bay is exquisite as it captures man's tiny footprint in the grand scheme of not just the woods which cover much of northern Minnesota but also our small spot in the vastness of the cosmos.